Thanet District Council has received the first planning application for the proposed Manston Green development, which is designed to deliver much-needed housing, reduce congestion and improve public transport in the area. Manston Green, situated on the edge of Ramsgate on land to the west and east of the A256 Haine Road, has been masterplanned to deliver a new sustainable community. The district council does not have a five year housing land supply as required by government guidance, and this application proposes a phased development of 800 new homes to meet projected demand. 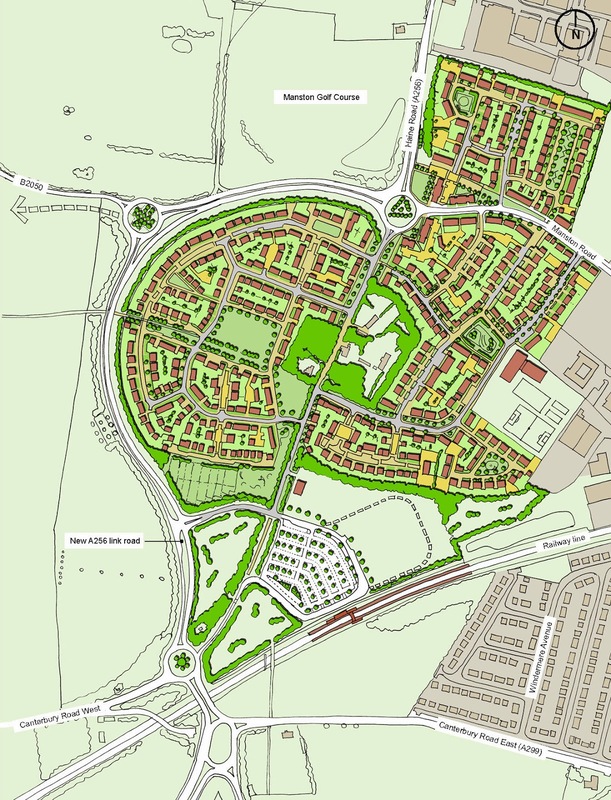 The residential development, planned around a series of village greens and public open spaces, would be built between 2016 and 2022, subject to permission. Following widespread consultation with the local community, the application includes a new primary school to address the increasing shortfall in supply for educational places in the immediate vicinity, as well as the provision of new community facilities. Manston Green would also help increase highway capacity on the current road network by improving traffic flows on the A256 Haine Road, and through the provision of a public transport interchange, comprising car parking and bus pick up/drop off points, alongside a zone allocated for a parkway station, identified as an infrastructure investment priority by the Kent and Medway Economic Partnership. The current planning application submitted by the Manston Green project team on behalf of Cogent Land LLP, does not include the Thanet Parkway station, an application for which will come forward later. This first application will be heard at a Planning Committee of Thanet District Council later in the year.